One of my favorite things to do with leftover yarn is make pom-poms. They’re cute, easy to make, and there’s so much I can do with them afterwards! 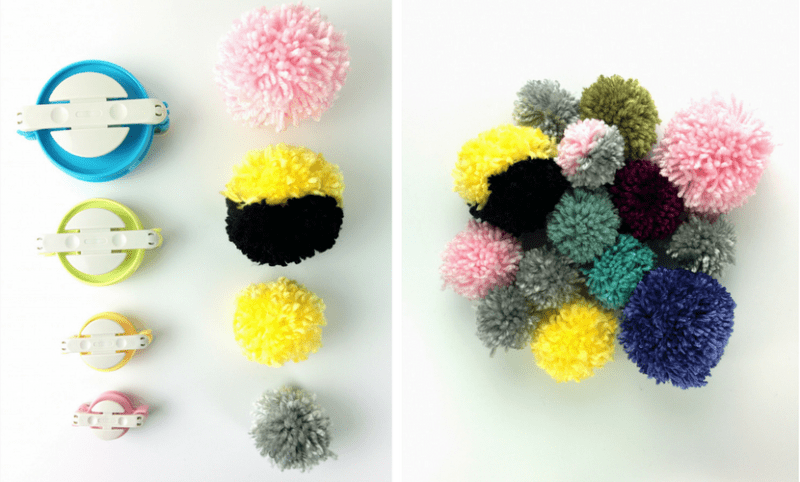 There are a few different ways to make pom-poms, and I’ve a bunch of them. 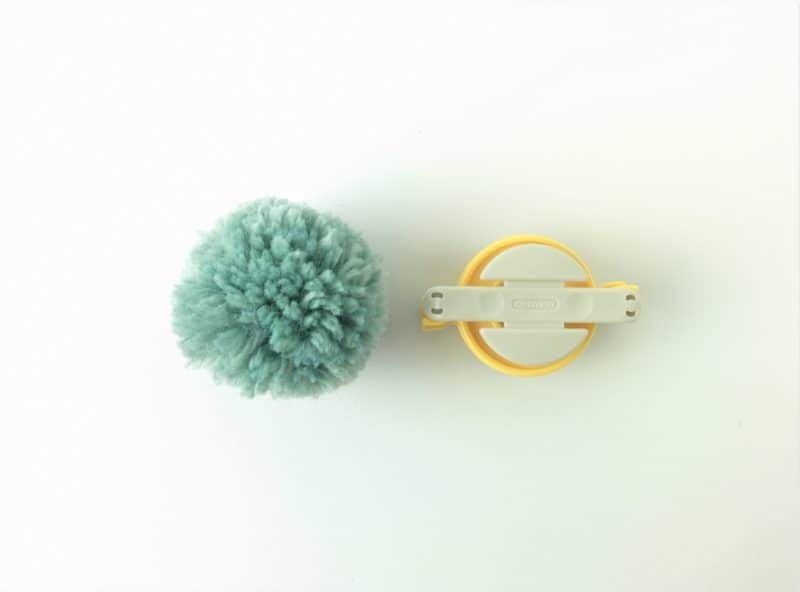 But to get a really nice full pom, I think the best way is to use a pom-pom maker. 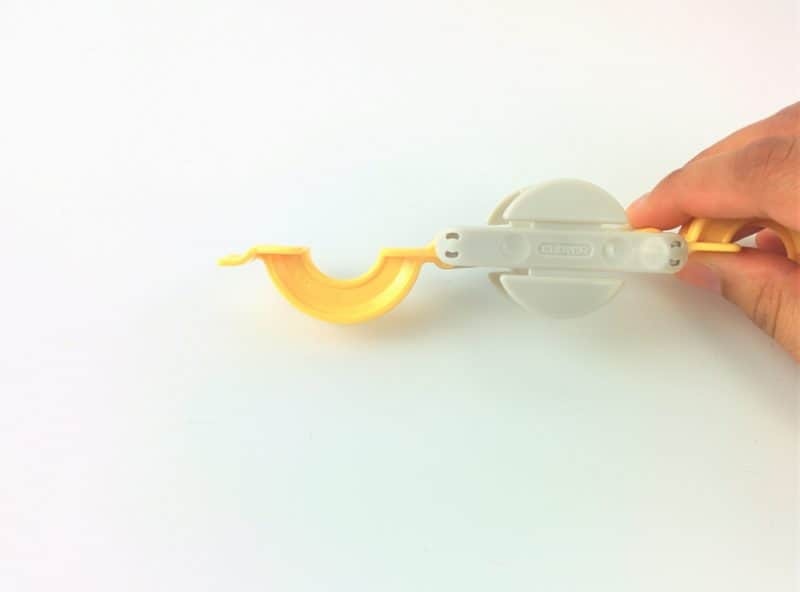 They’re inexpensive and they help make everything even and consistent, especially if you’re making a few. Today, I’ll show you how I use them, which ones I like, and how to make perfect poms for a fun pom-pom garland. Let’s get started! 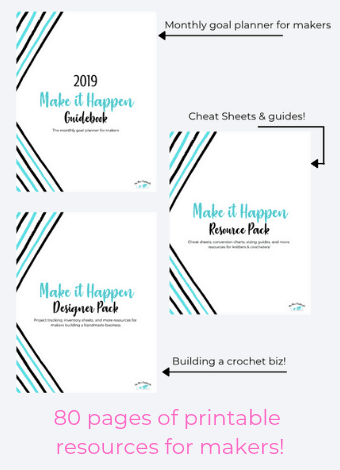 This post contains affiliate links to products I LOVE. If you use my link and make a purchase, I make a small commission at no extra cost to you. Read the disclosure for more info. 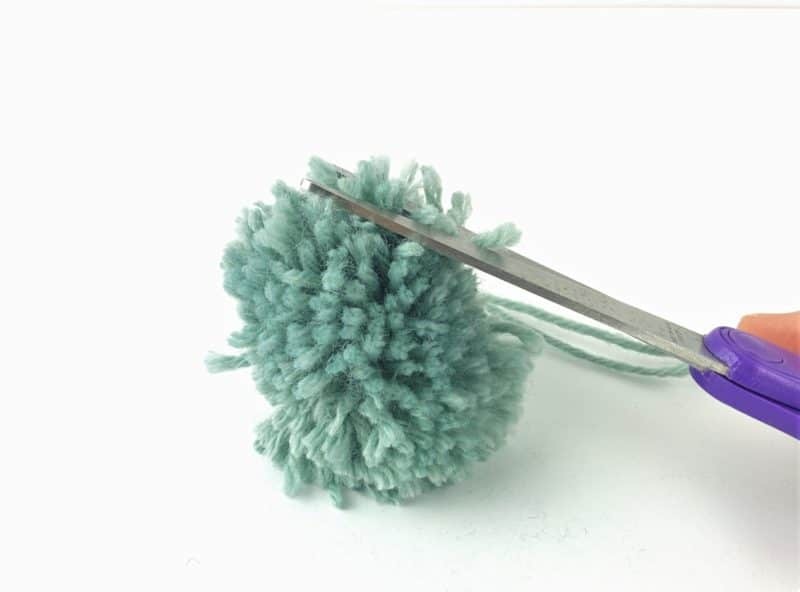 Pom-poms are perfect to use up leftover yarn, but you’re also going to need a pom-pom maker (I love these) and a pair of sharp scissor. 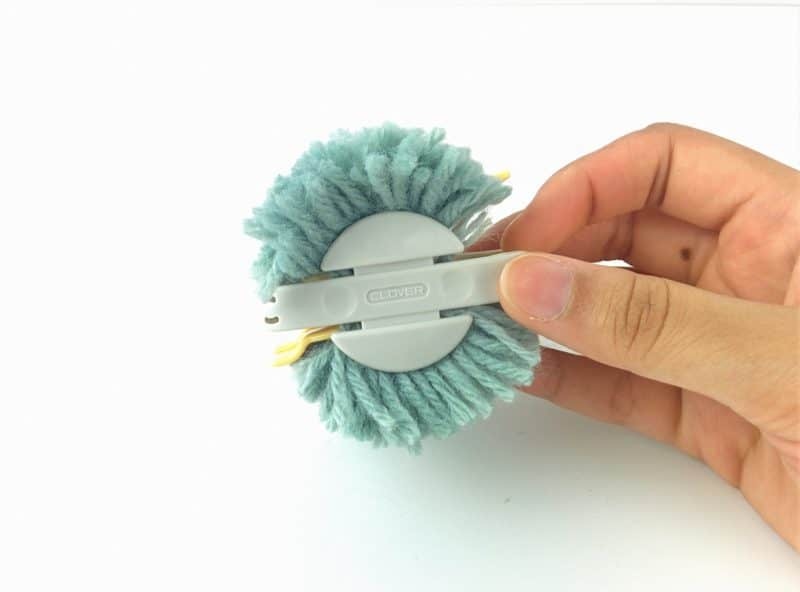 I have a video below showing you how to make the actual pom-pom and if you want to see the step-by-step, keep reading below! See how easy that was? 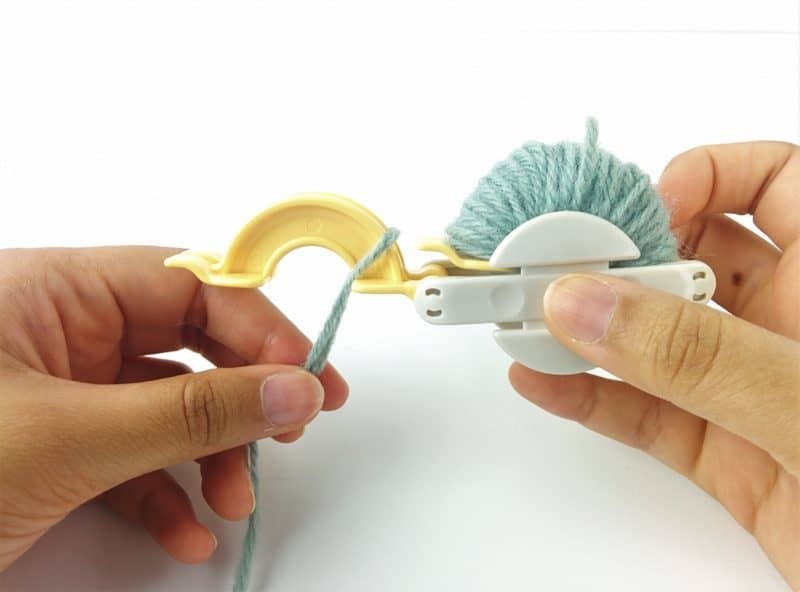 Basically, you just load up both sides of the pom-pom maker with yarn and then you cut open the edges. Tie the pom together in the middle so it’s nice and tight, then take it off and give it a little trim to even it out. 1. 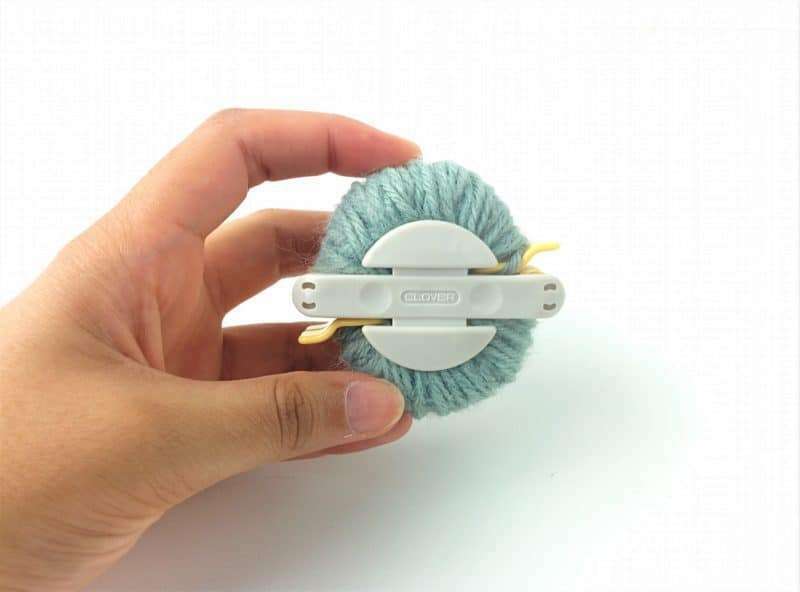 Open one side of the pom pom maker and hold your yarn against it. Then, start wrapping the yarn around both halves. You want to wrap it as evenly as possible and make sure not to cross over in big loops. That will make the pom-poms uneven. 2. Continue wrapping the yarn around the pom-pom maker until the bottom edge is flat and that curve is filled in. This ensures that you have a nice, full pom. 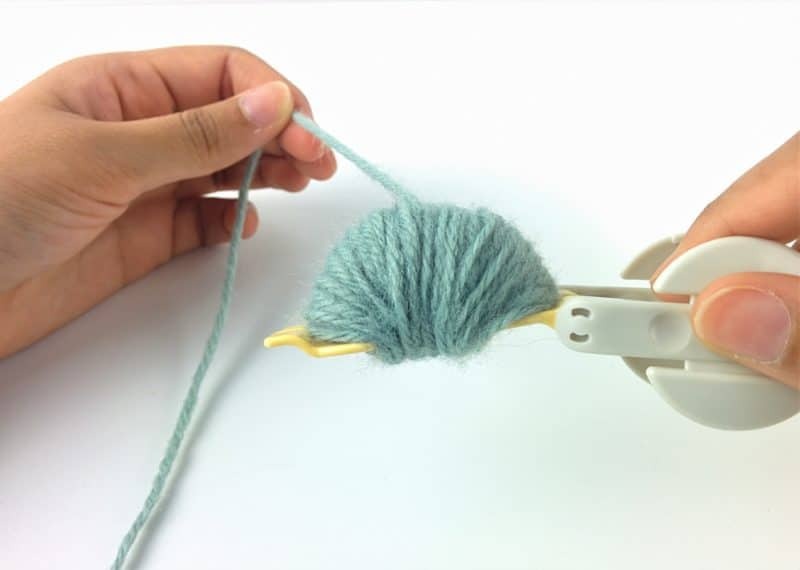 Then, fold that side of the pom-pom maker closed and trim the yarn you were wrapping. 3. Repeat steps 1-2 on the other half of the pom-pom maker. You can do this in the same color or a different color for a two-tone pom. 4. 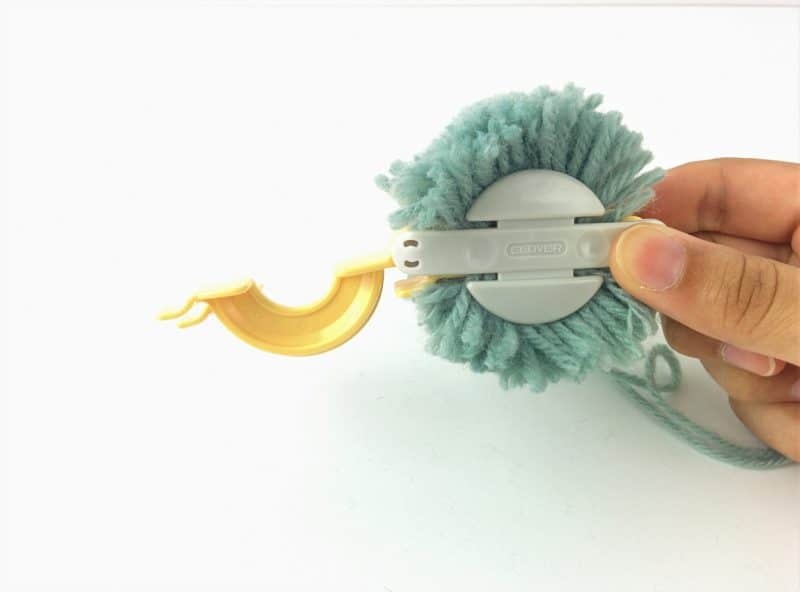 Once you have both sides all wrapped up, grab your scissor and insert them into the space between the pom-pom maker’s two halves, right by the hinge. Make sure your scissors are sharp and then just cut all the way down. You’ll be cutting into the groove. Cut both sides so you have these fluffy ends all the way around and you can see where the line between the two halves is. 5. 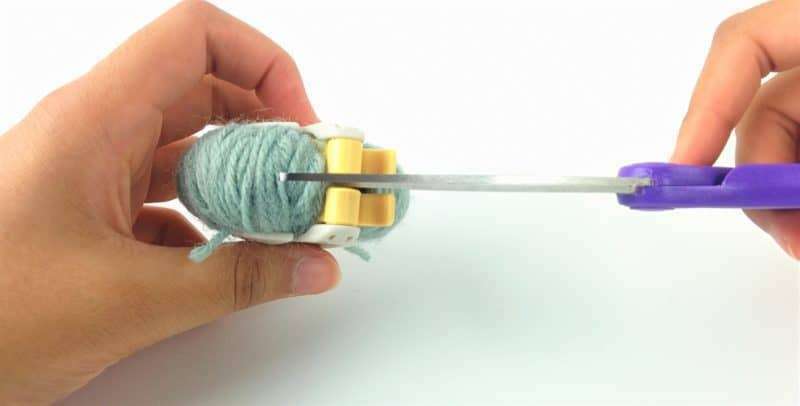 Use a long piece of yarn and wrap it around the pom-pom maker, going into the groove and make a tight knot. You can make a few knots to make it more secure. 6. 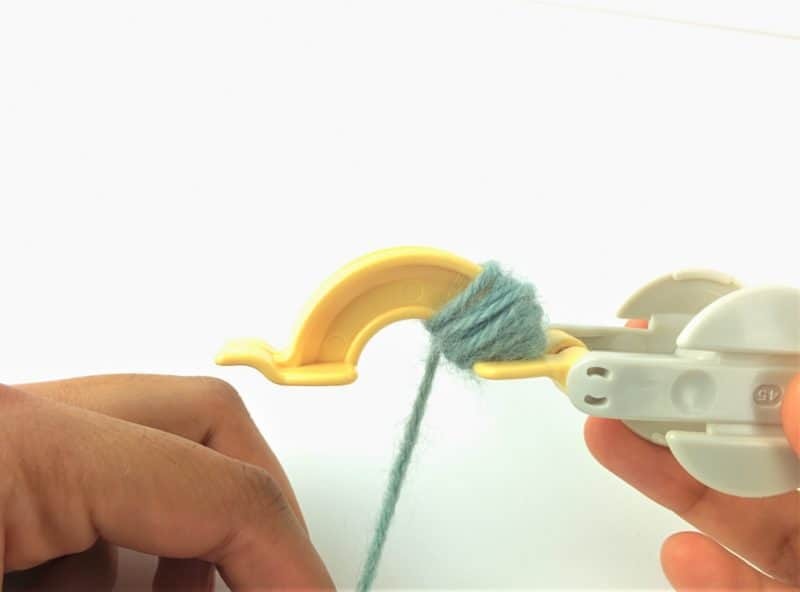 Now, open up the curved pieces of the pom-pom maker (where you wrapped the yarn) and gently pull the two halves aparts from the center to release the pom-pom. 7. Right now, the pom is still a bit uneven. So, grab your scissors again and just start trimming it all around to make it more even and round. Be careful not to overdo it; you just want to trim a little, not give it a new hairdo. 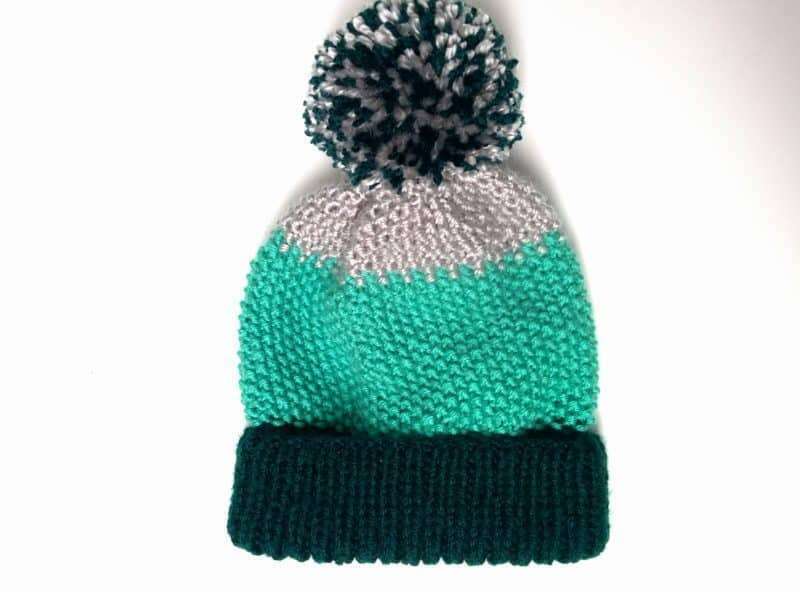 If you’re planning on attaching the pom-poms to a beanie, don’t cut the long tails you used to tie the center. You can use them to sew the pom on. Otherwise, you can cut those too. And here is the finished pom-pom! You can use these to embellish a lot of things, from beanies to scarves and other fun things. I used these pom-pom makers to make the pom on my Fairy Tale Beanie. To get it all multicolored, all I did was hold strands of green and silver yarn together as I wrapped. 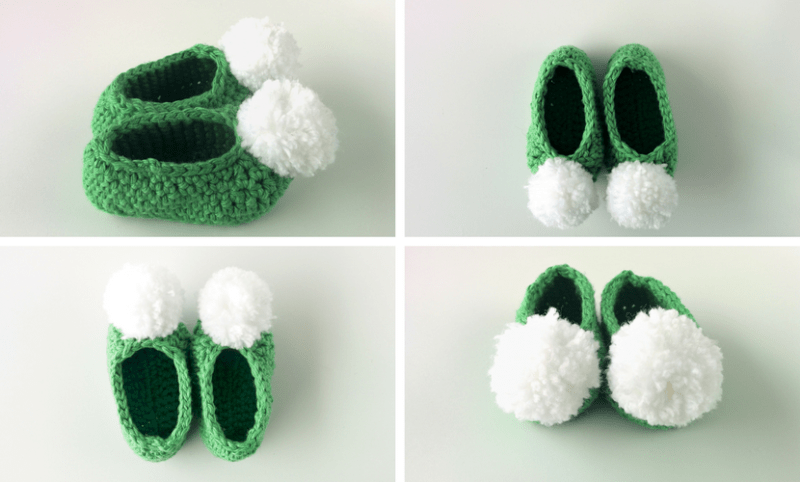 I also used the little pink one to make the poms on my baby Tinkerbell booties. I actually made a BUNCH of these and I’m going to use them for something fun, but you’ll see that in a few days. Since I don’t want this post to get too long, so I’m going to stop here. I hope you enjoyed learning how to make pom-poms. These pom pom makers really help a ton and they’re great if you want to make all your poms the same size. You can get them here. And if you want to see more of what I use, click HERE for all my favorite tools! Be sure to subscribe down below updates and freebies directly in your inbox and I will see you soon! This is perfect for a nursery banner I want to make. Thanks for sharing at the party! I’m glad you like it! 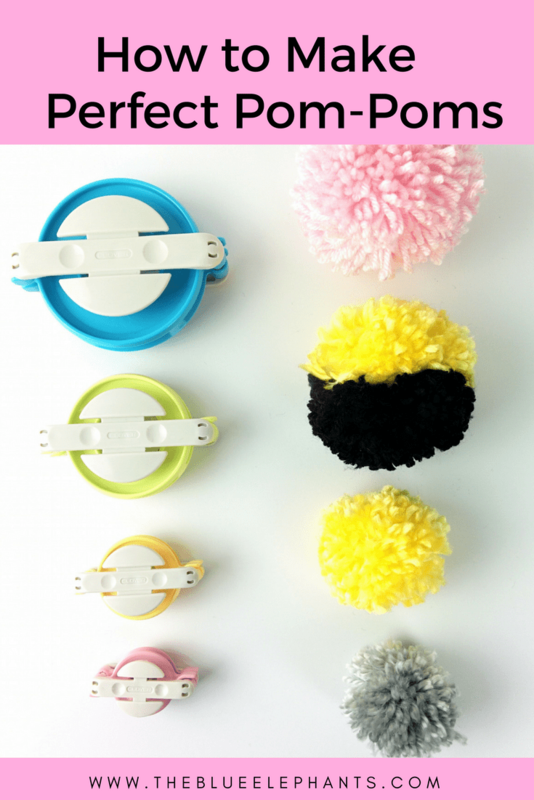 Making a nursery banner would be such a cute way to use these pom poms. What a fun idea! I have made them with cardboard before, but never thought of using an embroidery hoop. I love that you can make different sizes by using different sizes of hoops. I just wanted to let you know that this recipe has been featured in this week’s Friday Favorites. http://aheartfulloflove.com/friday-favorites/ I hope you will come back and party with us again this week. Have a good weekend! So that's how you make them! I never knew it was that easy. Thanks for sharing! Such a cute idea! 🙂 how fun! It seems so easy!! I think we'll give it a try! Wow I never knew making pompoms was that easy! They look adorable and fun 😀 Thanks for sharing!